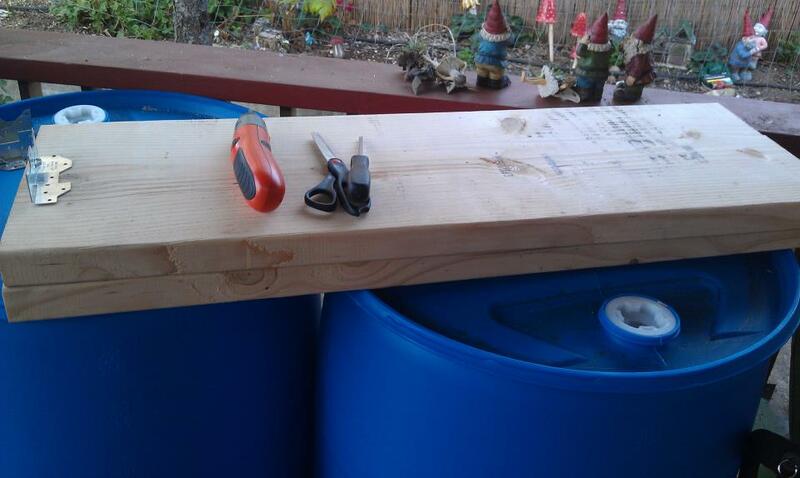 For this project, you will need two 8 foot 2×12 planks (cut in half), 4 corner brackets, screws, weed preventing landscape cloth, scrap cardboard, veggie scraps, green leaves, green grass clipping or other green matter, leaves, twigs, dried hay/grass or other brown material, organic soil. 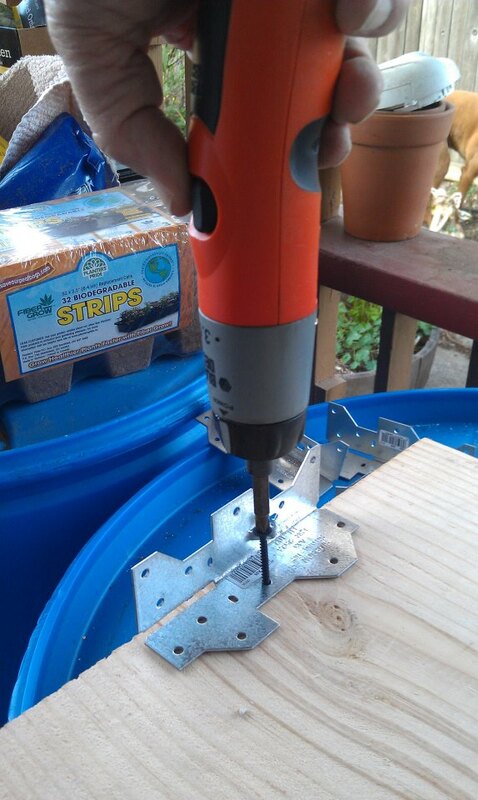 Using your electric screwdriver, mount the corner bracket in the center of your board. Make sure it is straight and flush. 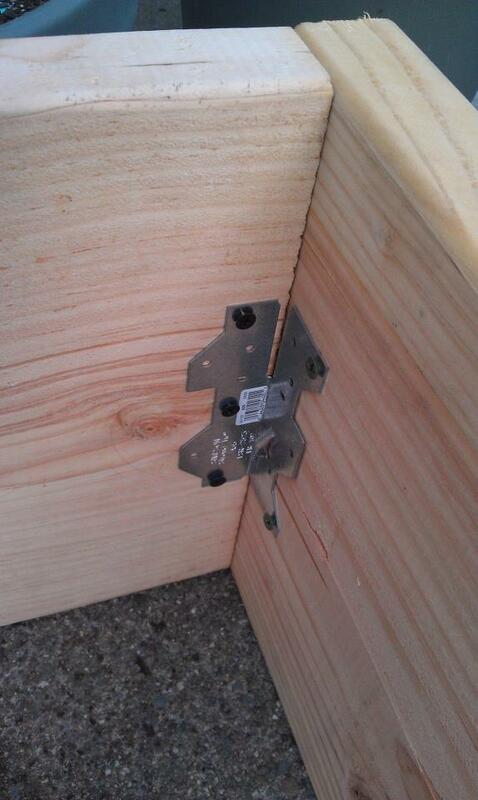 Attach the remaining board via the bracket, forming a corner. 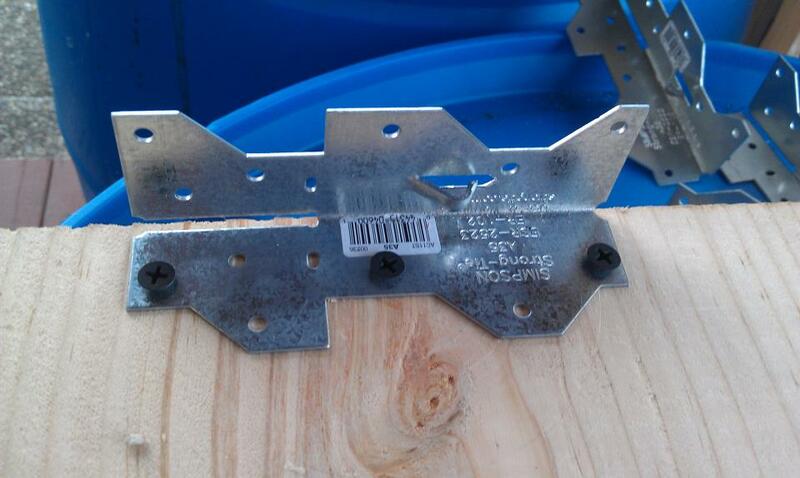 It’s easier to do this if you have someone help you hold the board against the bracket, while you use the electric screw driver to screw it together. 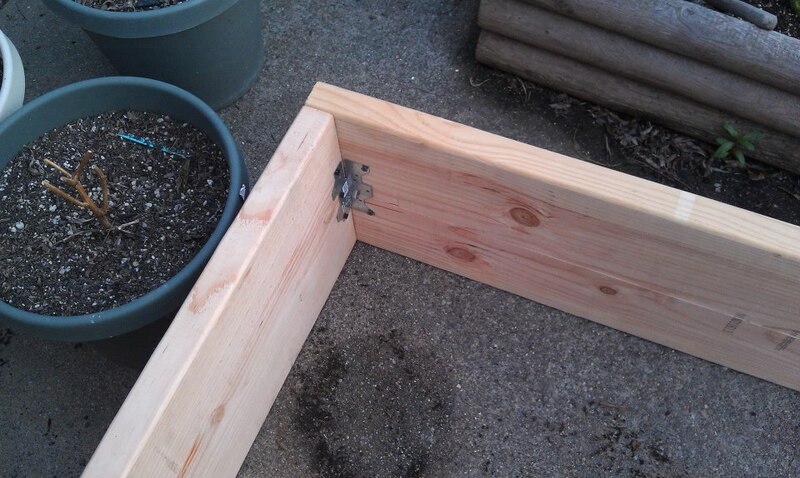 You now have your raised bed frame. 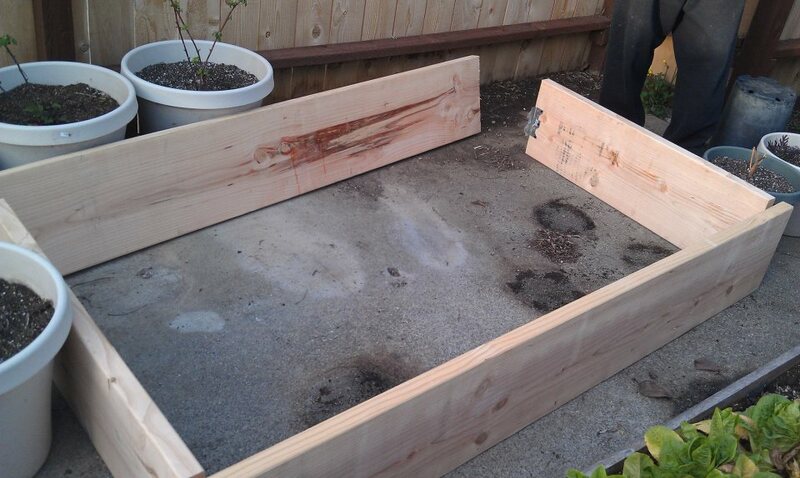 Cut weed preventing landscape cloth a few inches bigger than the inside of the box/bed. 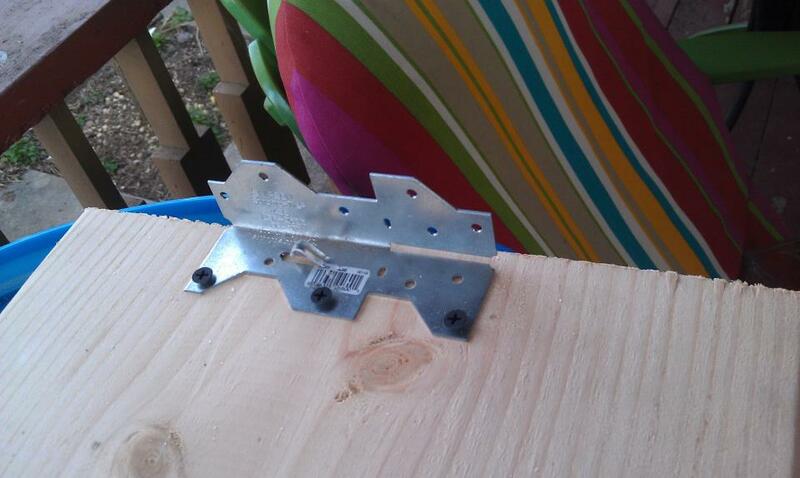 You will need this extra cloth to staple to the wood. Next, add cardboard you have saved for this project. 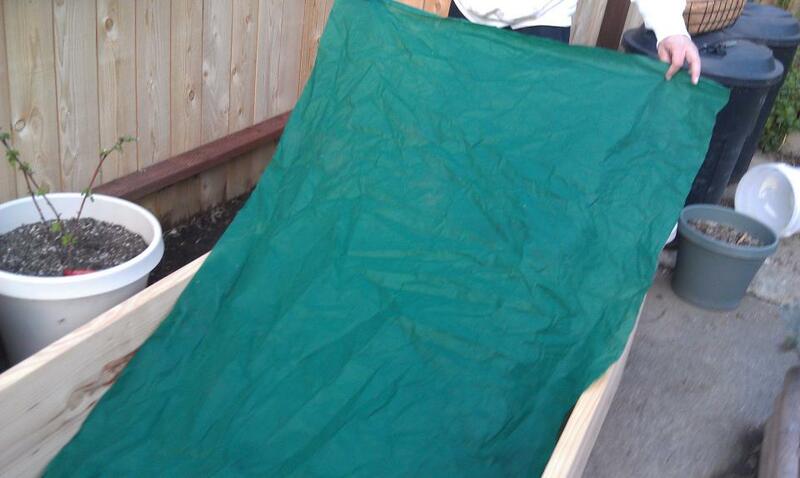 It’s biodegradable and will work as a moisture barrier. 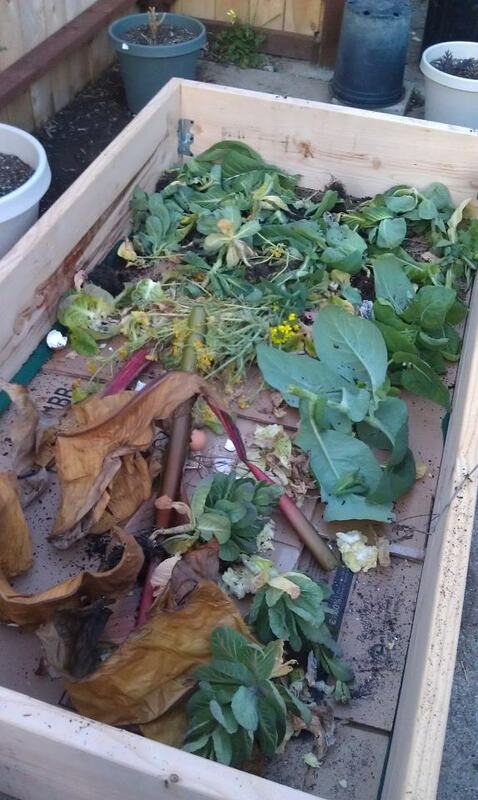 Cardboard is considered “brown” material and works with your raised bed to provide nutrients like dried leaves would. Don’t skip this step. 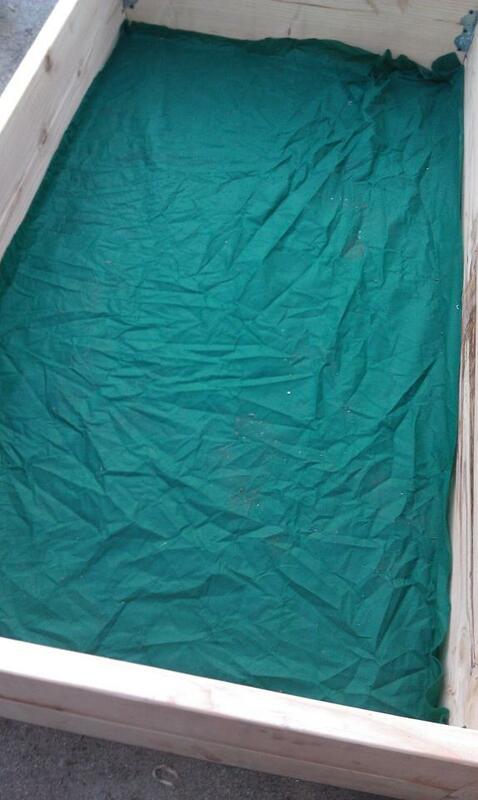 Keep filling your bed until the cardboard is as even as you can get it. Make sure it’s flat as possible. You can add several layers. 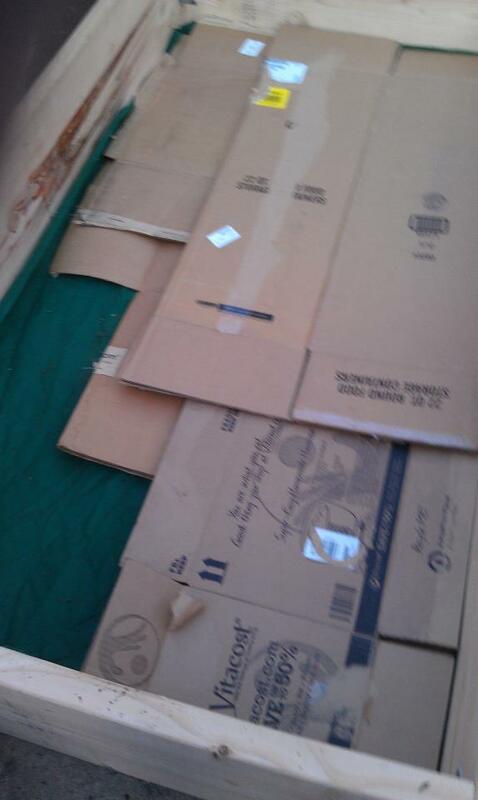 Add green material on top of the cardboard. 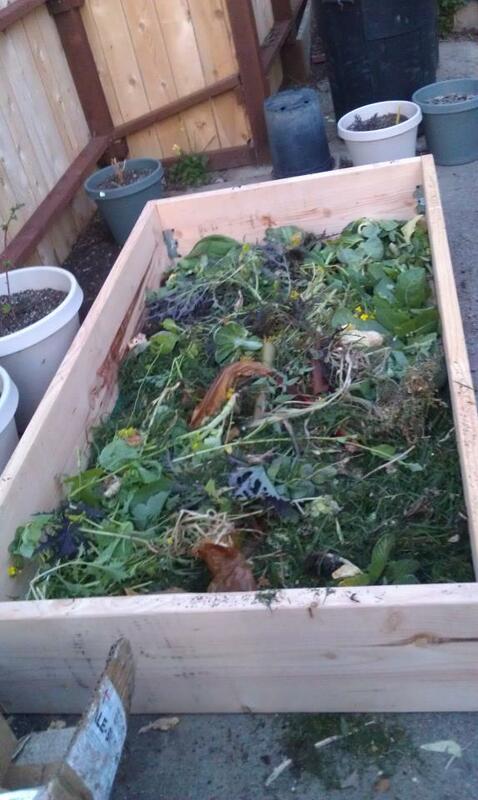 Green material is anything like veggie scraps, fruit peelings, green leaves, small amount of grass clippings, eggshells, coffee grounds. We added banana leaves from a tree we pruned and other leaves and small twigs from pruning trees and shrubs. Don’t use large twigs or sticks. 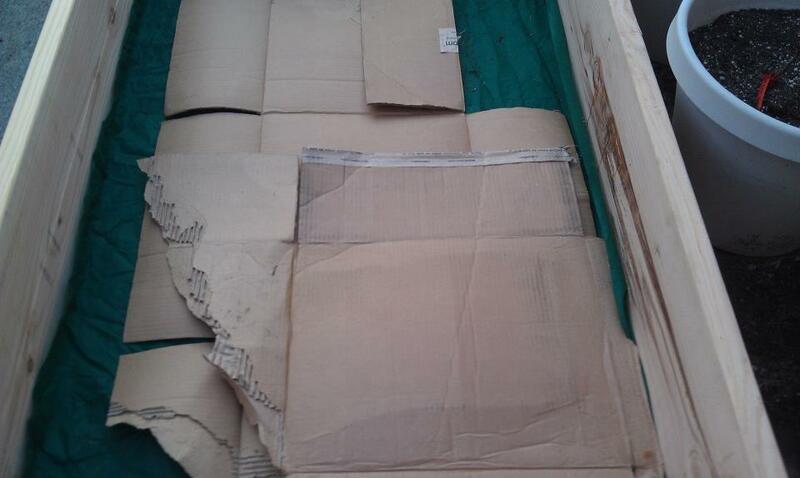 Cover the cardboard as well as possible with your green matter. 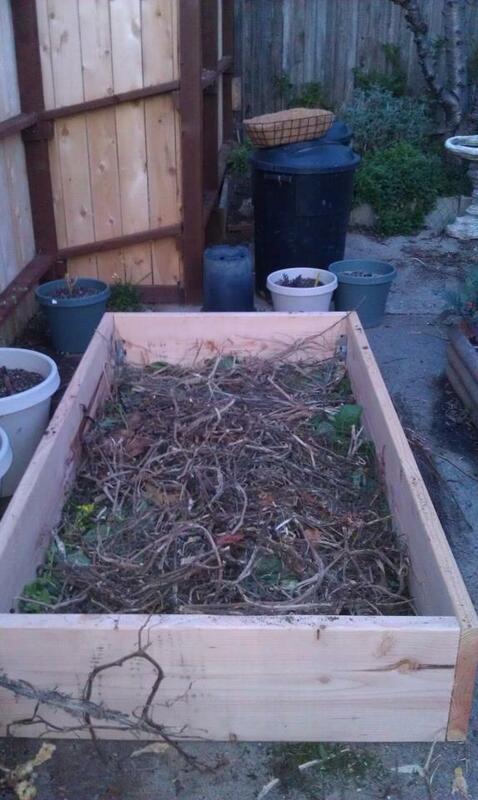 You are building a “compost” under your soil which will feed your plants for months and help maintain moisture in your soil. 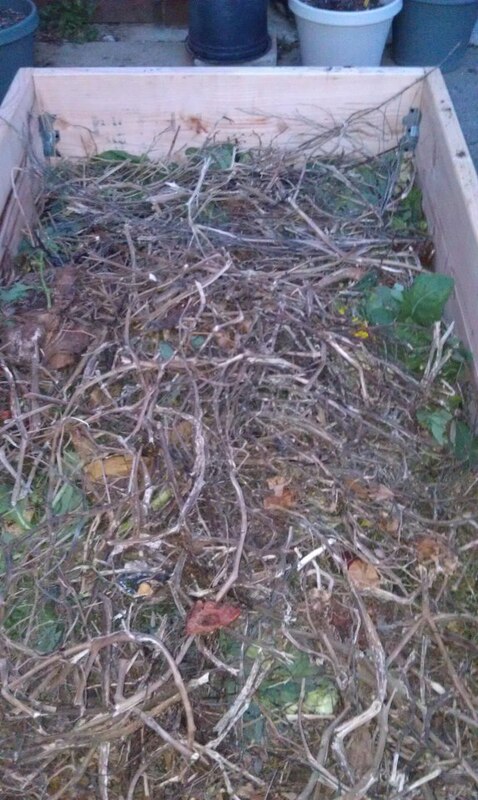 Break up any twigs or vines into small pieces. We walk on ours to crunch it up and press it down before we add the soil. 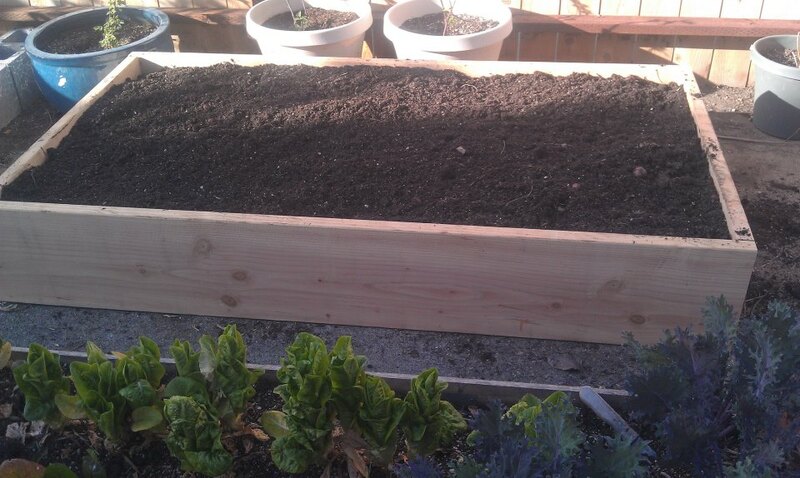 Add organic soil on top of your other layers and smooth it as evenly as possible. 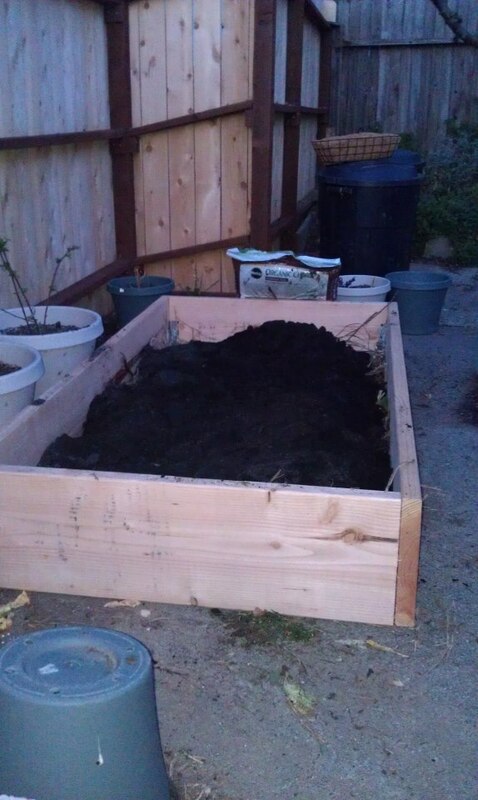 You will have to add more soil, in time, as the levels compress and compost. 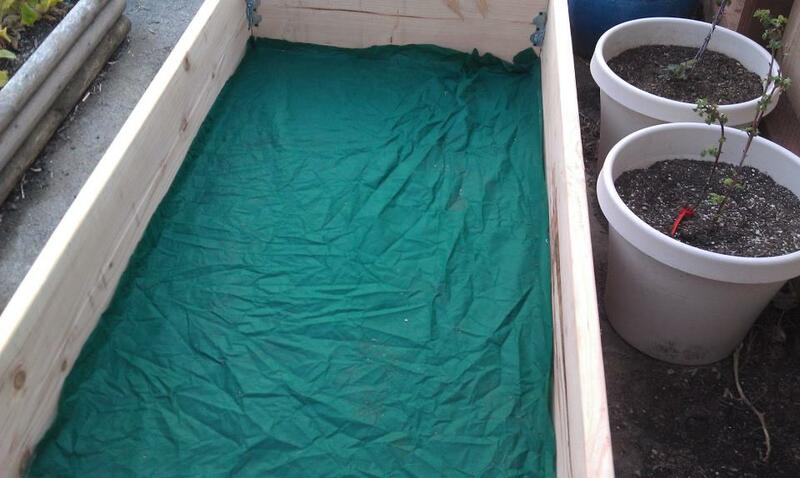 Now your raised bed is ready for planting! If you’d like to make the most of your space, make a grid from twine, mapping off 16 squares, each one being 1 square foot. 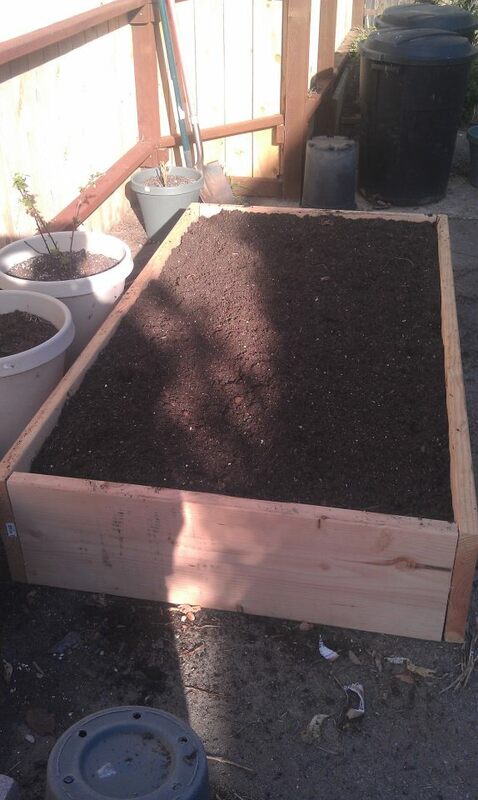 Plant your veggies in each square. 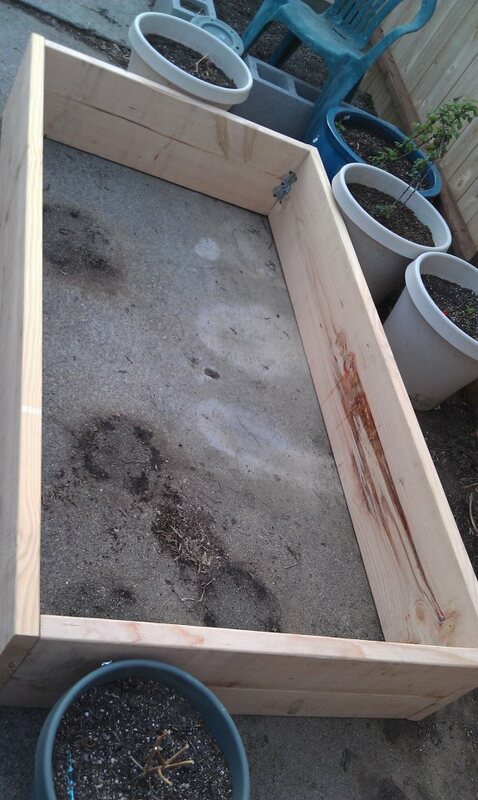 You can read about square foot gardening online or look for future posts about it, here.